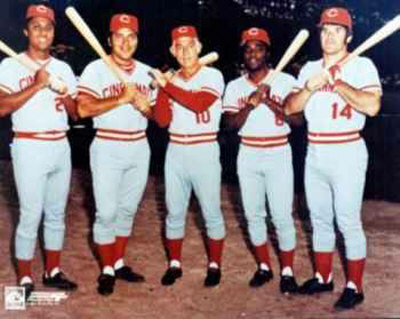 Sparky ANderson (center) guided the famous Cincinnati "Big Red Machine" to four pennants and two World Series titles in nine seasons. News this week of the illness and then death of Hall of Fame manager George “Sparky” Anderson has elicited many fond memories of the feisty manager who enjoyed unparalleled success during 26 seasons managing the Cincinnati Reds and Detroit Tigers. 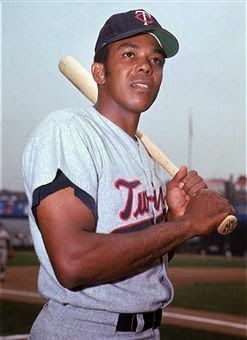 When Anderson was introduced as the new manager of the Cincinnati Reds prior to the 1970 season many asked “Sparky Who?” and wondered why management would turn the reins of one of baseball’s up and coming teams to an unknown 36-year-old who had spent one season playing in the majors for the Philadelphia Phillies (hit .218 in 152 games in 1959) and never managed above AA. As it turns out, Cincinnati General Manager Bob Howsman, who had hired Anderson for minor league managerial stints with the St. Louis Cardinals and Cincinnati Reds, had the manager he needed to turn the Reds into baseball’s team of the 1970s. It didn’t take long for Anderson to prove that he was indeed the right man for the job. During his first season at the helm, the Reds won 102 games and reached the World Series for the first time since 1961.